Our resident Reviews Editor regales us with his favorite moments from 2018's biggest show in gaming. Like most years, E3 2018 was a cavalcade of spectacle, wonder, and new game reveals. While many of 2018's best titles were announced ahead of time, there were still plenty of surprises and spectacular demos to check out. Personally, I had to spend all of my time working at the Shacknews booth, but I was able to sneak away a few times here and there and check out a couple of upcoming games and events. Here's a look at some of the things in this year's batch that really stood out to me. 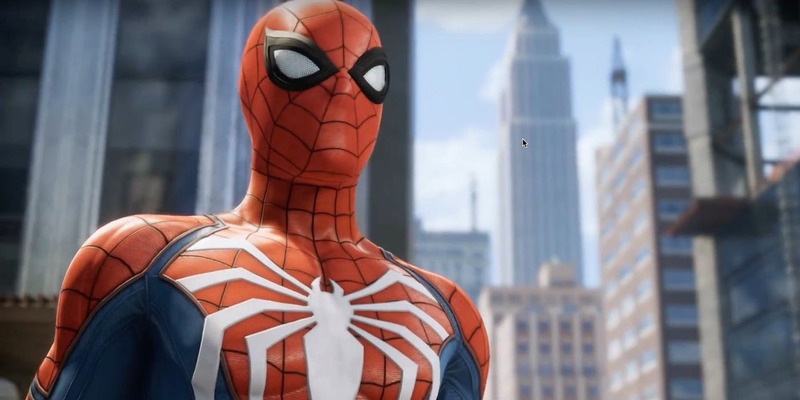 Everyone’s favorite friendly neighborhood wall-crawler is getting ready to make his PS4 debut later this year, and I finally got some hands-on time with the old web-head’s latest incarnation ahead of the launch at this year’s E3. I wasn’t looking for a reinvention of the wheel, more of an update to my favorite model of car with some modern amenities, and that’s exactly what the latest Spider-Man is feeling like. It’s very much the same open world that I would spend hours swinging around back in the day in Spider-Man 2 (based off the 2nd Sam Raimi Spidey flick). Combat is very similar but Peter Parker has several new moves up his sleeve and a ton of new web-based skills as well. Some of the side quests I tried out during my brief demo also had some clever light puzzling thrown in, which means more to do than just pummel baddies into the dirt. I was already looking forward to the new Spider-Man, but now I’m pumped. 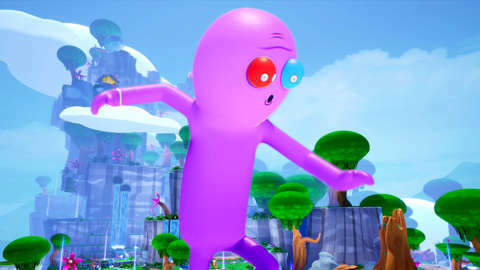 I can’t imagine what the process of building a linear adventure game around improvised dialog must entail, but after getting a chance to check out Squanch Games’ upcoming Trover Saves the Universe I feel like they’ve cracked the formula. Trover takes the ramblings of mad genius Justin Roiland -who’s probably best known for co-creating Rick and Morty- and inserts them into a zany world of platform goodness. During my demo, there was some light puzzling but it ended by giving up and just smashing through the door, which is something I think everyone that’s ever got stuck trying to get out of a room so they can get back to the action will appreciate the humor. After playing the interactive absurdist awesomeness that was Accounting+ I’m excited to see what the team at Squanch games can do with a more traditional genre of games. When you throw the awe-inspiring beauty of Japan and add in the opportunity to take on the role of a badass Samurai, you’ve basically got a guaranteed buy from me. 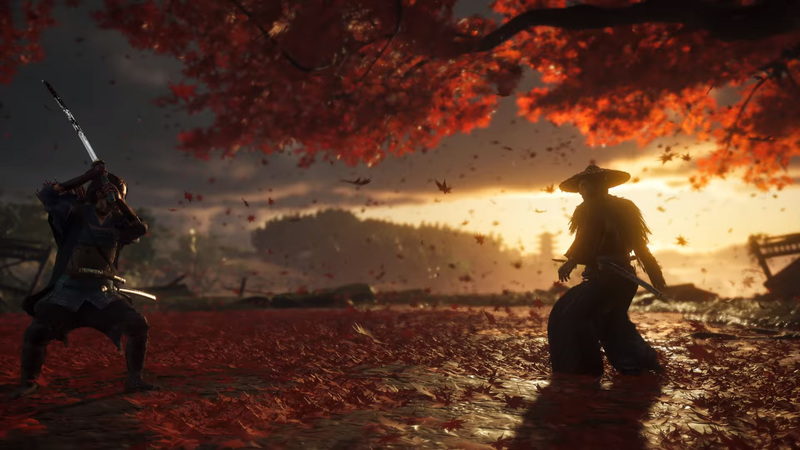 Ghost of Tsushima is already looking brilliant and definitely made a major impact on me with its setting and striking visuals. Sucker Punch has definitely pulled me in before with their InFamous series and I think they’re aware of the scrutiny that they’re going to be under leading up to the game’s release. I will be waiting patiently for more details on Tsushima as we get closer to a launch date. Most of my time at E3 was spent commentating at the Shacknews booth on the show floor for our first ever World Championship tournament. There was a lot of exciting competition and as someone who has had to attend some extremely bland tourneys in the past as a correspondent, it was great to get a chance to add a little of my spicey and sassy flavor to the event. Watching folks run the gauntlet of classic games like Street Fighter 2, Duke Nukem 3D, Goldeneye, and Quake as they vied for the grand prize was a real treat. It was also one of the most good-natured and respectful events I’d ever seen. Witnessing camaraderie between players who would soon be kicking each other out of competition is rare in pro-level electronic sports events, it was a good reminder that gaming, even when for a prize, should still be about the fun and friendships made.